These were something my mother cooked when I was a kid that are still part of our family cooking. She calls these “ham things”. They contain no zucchini when she makes them, but I think it’s a nice touch and what’s not to love about veggies? 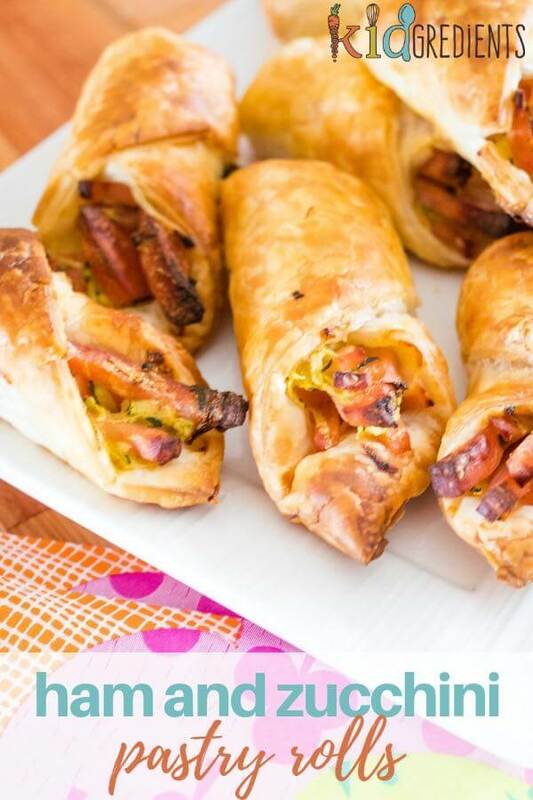 I’m calling them ham and zucchini pastry rolls. 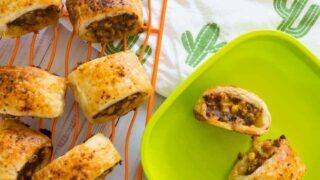 The kids love these little rolls of yumminess- it’s probably just the pastry. It has that effect on people. 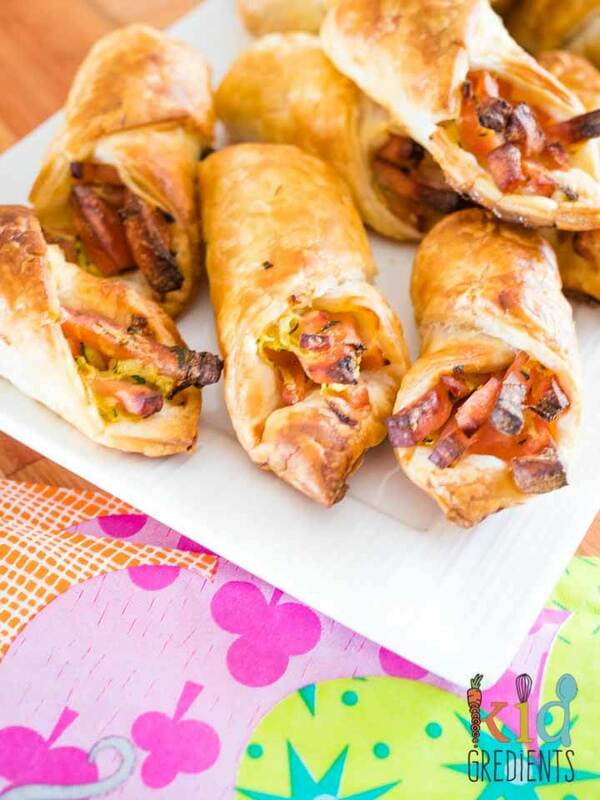 I actually don’t think I’ve ever come across anything that doesn’t taste even more amazing when wrapped in pastry. We love making things with pastry, because not only can they be made quickly, they also freeze well. So cooked, they can be frozen and then it’s just a case of pulling them out of the freezer and popping them in the lunchbox: super simple! Don’t think that the kids will dig the mustard? Well, it’s barely noticeable and just adds an extra flavour dimension to the pastries. 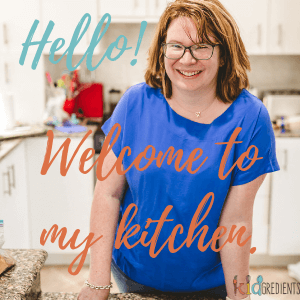 I think it’s super important, especially as I have made these without and they were…bland! I love how the little bits of ham sticking out the edge end up super crunchy and I love how the cream and the mustard work together with the dill to make a really yummy taste. These are probably my favourite pastries on the blog! 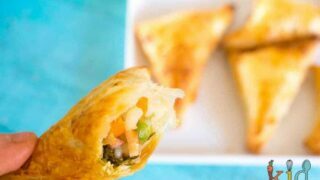 If you’re looking for other things to make with pastry for quick and easy lunches, give these recipes a go! 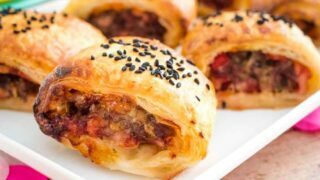 These delicious cheese and bacon sausage rolls are so yummy! 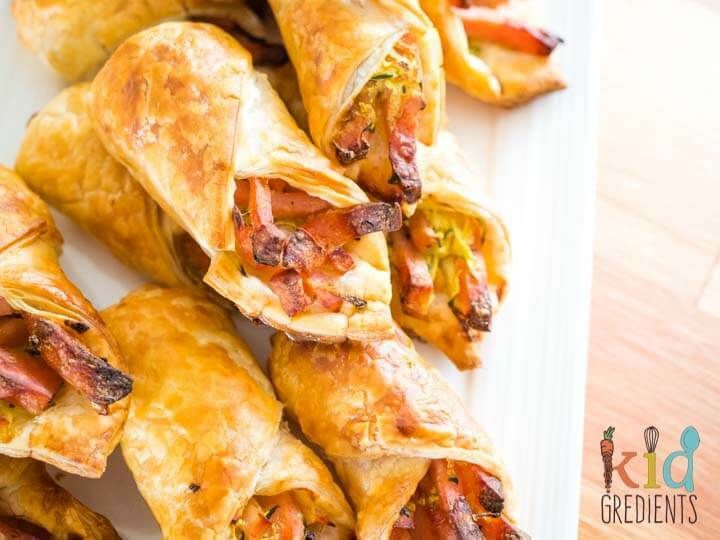 Perfect for parties, or at home lunches, or even a sneaky dinner, they freeze well before cooking. 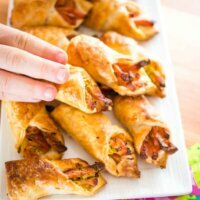 Easiest ever ham and cheese pizza scrolls- the quickest & yummiest way to get scrolls ready for lunch! 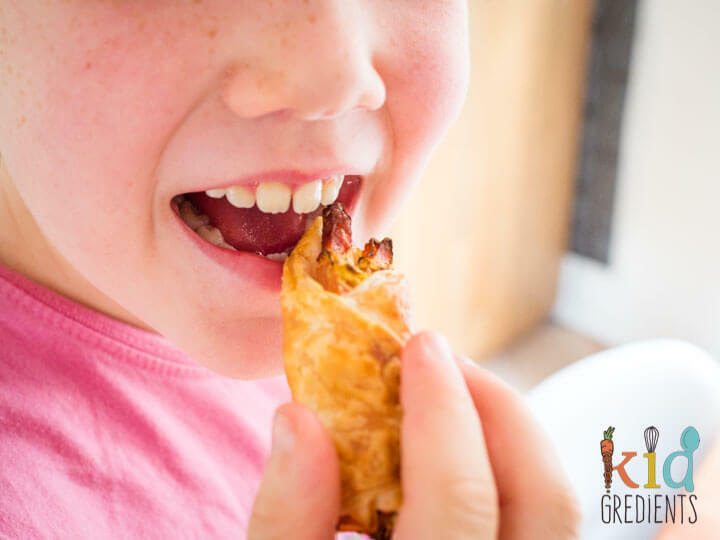 Kid friendly, freezer friendly & perfectly delicious! 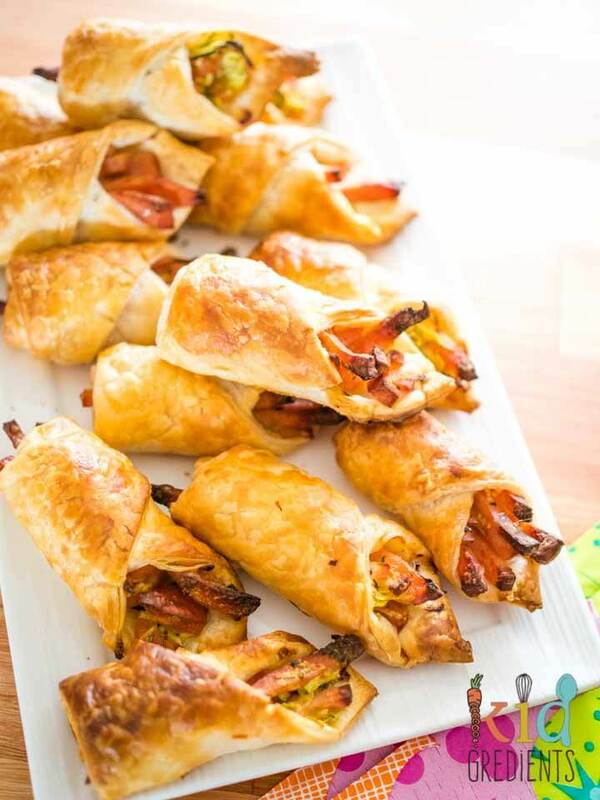 These ham and zucchini pastry rolls aren’t just perfect for the lunchbox, they make great party food and the adults LOVE them as appetisers. So do yourself a favour and add them to your repertoire! Once you’ve made them you’ll get people begging for them again! 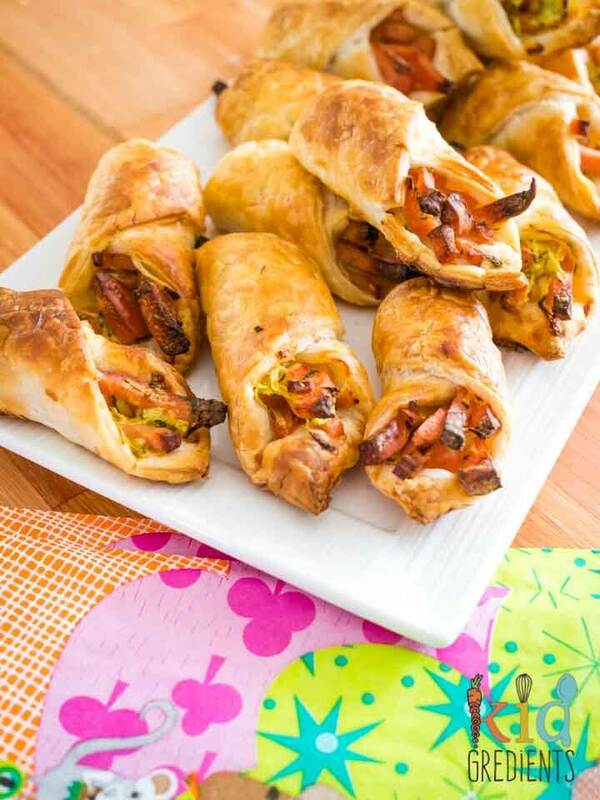 These ham and zucchini pastry rolls are a modification of an old favourite family recipe. 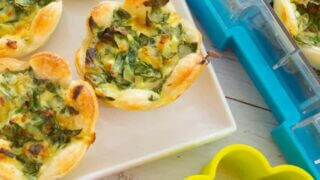 They are delicious as finger food, great for lunchboxes and really easy to make! 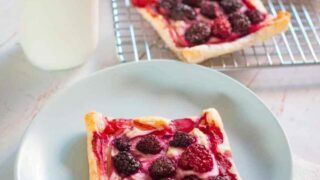 Place the pastry sheets on a chopping board, make 8 triangles by cutting from corner to corner, horizontally through the middle and vertically through the middle. Mix the ham, zucchini, cream, dill and mustard together in a bowl. Spoon teaspoonfuls of the mixture into the centre of each triangle, then roll the triangles up leaving one end open. Brush with milk and then bake at 200 degrees celsius for 15-20 minutes or until golden. Freeze on a tray after cooking and place in a container when frozen solid. Oh man, these look delicious. Thanks Kate, they are a family favourite!